Gilbert has almost everything his fishy heart could desire: a castle, a chest filled with treasure, and food that falls from the sky. But there's one BIG thing missing from his life: a pet. And so begins Gilbert's harrowing search for the perfect fishbowl companion - a search filled with loud barking, quiet buzzing, and one giant whiskered surprise! 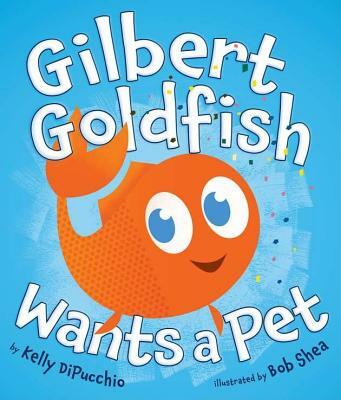 With snappy, rhythmic text and the most irresistible goldfish in picture book history, this tale of fish woe and triumph will make readers long for a pet as lovable as Gilbert.